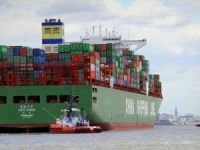 Sea container trade carrying manufactured goods will slow into the United States this year but will remain strong throughout the rest of the world, heads of two of the world's biggest container lines said. Chief Executive Eivind Kolding of Danish shipping company A.P. 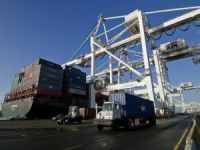 Moller-Maersk's container arm and Adolf Adrion, board member of Germany's Hapag-Lloyd, said that though U.S. trade growth would slow, the turndown was unlikely to culminate in a full-blown recession. 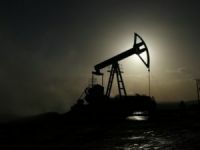 "Our prediction is that at best we will see slow growth (of container shipments), to the U.S., of only a few percentage points, probably," Eivind Kolding told reporters in London in response to a question on tangible signs of a U.S. recession. 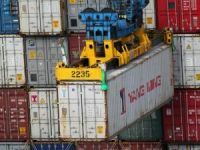 "Everything (container demand) ... outside of the U.S. is stronger," Kolding said of global trade on top container routes. Transpacific container trade routes, mostly ferrying manufactured goods from Asia to the United States, were among the world's busiest in 2006, second only to intra-Asian trade. 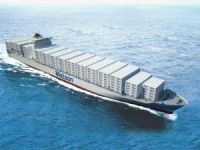 Hapag-Lloyd's Adrion said that, from a trade point of view, it was unlikely the United States would tip into a full-blown recession, preferring to characterise it as a lull for a limited time. "I think it will be a trough, a small trough," he told a joint news conference. 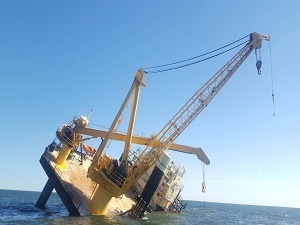 Merchant shipping, of which container ships are a sector alongside oil tankers and dry commodities, carry 90 percent of the world's traded goods by volume. Container trade between 1982 and 2005 grew three-and-a-half times as fast as world gross domestic product and 40 percent faster than international trade, according to Drewry Shipping Consultants. 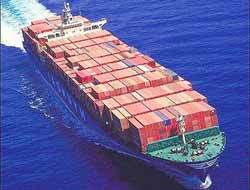 Global container trade has seen five consecutive years of average double-digit growth, it says.